Apple iOS 11 Features That Make iPhone & iPad Much More Useful. 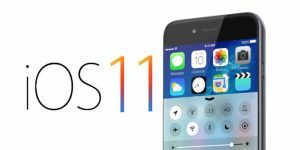 (ThyBlackMan.com) The next step for iPhone and iPad is the launch of Apple iOS 11, the new iteration of the company’s mobile operating system. Due out for release later this year, the iOS 11 features are set to bring something fresh for anyone who owns Apple’s iPhone and iPad, or is considering buying one. Apple introduced the next-generation of its mobile operating system in June 2017 at the WWDC. CEO Tim Cook said, the update is going to bring the best and the most advanced operating system. Here’s what makes iPhone and iPad much more useful than ever. With Apple iOS 11, Siri is about more than just voice commands. But before we move on to what’s beyond the voice, there are so many improvements in Siri’s capabilities. Apple’s voice assistant is accessed on more than 375 million active devices. With the help of artificial intelligence and machine learning, Siri is now capable of speaking in more humanized voice (male and female). The AI assistant can now translate English words and phrases into Spanish, Mandarin, German, French or Italian. Beyond voice, Siri learns from the way you use your device, and it delivers more personal experience. With deep learning, Siri can provide suggestions based on your use of Mail, Messages, Safari and other applications. When companies like Facebook, Microsoft, HTC, Samsung and even Google are investing in VR and AR technologies, Apple doesn’t want to be left behind. With ARKit for iOS 11, Apple is allowing developers to bring high-quality augmented reality applications on the iPhone and iPad. The development kit enables developers to unleash the power of the built-in camera, motion sensors, and the processor to introduce AR applications. Apple with ARKit is majorly focusing on gaming, shopping, and design applications in augmented reality. Apple Pay users can now make and receive payments with family and friends more securely and quickly. Users can tell Siri to make payment to someone or the transactions can be made in messages as well. Apple suggests that when a user receives money, the payment will be parked in the Apple Pay Cash Account. The payment from there can be transferred to the user’s bank account or can be utilized to make a purchase online from the app store. Apple iOS 11 makes iPad more powerful than ever. Multitasking becomes easier with a new customizable Dock. It provides easy navigation, increasing user-friendliness by displaying frequently used applications and documents. The app switcher helps you move between active apps. With improvements in file management, the Files app keeps local and cloud storage managed. Additionally, you can move almost everything including text and images across the system. With the new-gen operating system, Apple Pencil is going to be more useful with iPad. From instant Notes to inline drawing, information can be kept easily. With the new Do Not Disturb While Driving feature, Apple iOS 11 helps drivers stay away from distractions while driving on the road. Keep your iPhone with you when you’re driving, your phone will detect the motion automatically, and it will keep the screen dark and turn off the notifications. Users can, in fact, set the phone to send auto reply for people in their favorite contacts. In the Photos app, Apple has added support for Memories. The machine learning enables the device to create videos automatically and you can even watch them in landscape or portrait mode. Some new categories like babies, weddings, sports events, pets, outdoor activities, and birthdays will be included. You can now crop Live Photos. Additionally, you can use different options such as Loop – the feature makes a Live Photo to loop, Bounce – it makes the photo go forward and backward, Long Exposure – this feature introduces a blur effect by combining Live Photos. Apple has not confirmed the Apple iOS 11 release date. The company will likely introduce the next-gen operating system alongside the launch of its new lineup of iPhones. & 11 Apple features iOS iPad iPhone make More Much That Useful.